In light of The New Payment Services Regulations coming into force on January 13th, 2017 the impact of having to absorb credit card charge fees has been overwhelming for many travel firms. A travel firm can introduce an admin fee to counteract the charges but the admin fee can’t be dependant on how a client pays. It must be a set admin fee for all consumers. An important aspect to consider before implementing this solution is that consumers do not like this. So, in light of gaining client loyalty, this may not be the best option for your client base. Another alternative is to find the best rates possible for credit card and debit card fees. For a quick reference here is the difference between Paypal and PTS merchant solutions. Paypal has no monthly fees and is very easy to set up. However, for the luxury of easy set up the fees are very expensive. For any company transacting between 1500 Euros to 6000 Euros, it is 2.9% per transaction and 20p per transaction. This is still incredibly expensive for any travel firm to absorb and only covers online payments. Telephone payments and invoicing facilities are also a further cost. Paypal is a good solution for many companies but tends to not be cost-effective for travel companies. PTS has incredible relationships with both First Data and Global Payments. 99% of PTS members gain merchant services successfully. The PTS team will apply for each new member – this is a complimentary service we offer. The compliance team will answer all the questions and bridge the application process whilst you concentrate on developing your business. 1.9% – AMEX or business credit/debit cards. All of your payments are then linked through to your independent trust account managed by PTS. All payments can be seen on the supporting PTS software and all payments are reconciled daily. The automatic reconciliation alone saves you a huge amount of time and bookkeeping costs. 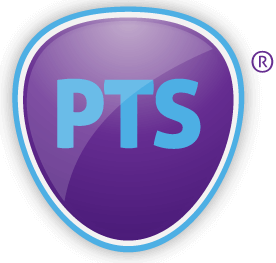 PTS is fast becoming the leading solution for travel firms to gain merchant facilities and this is because of the speed, success rate of gaining the merchant service, support from the PTS team and the management technology that supports your travel business throughout. To counteract the impact of the ban on credit card surcharges you do have the option of depleting your costs to find a more cost-effective merchant solutions.